This was only the second story that I have read by this author, and unfortunately it will be my last. 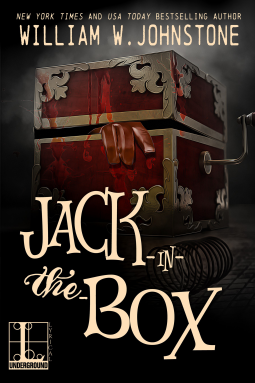 Jack-In-The-Box seems to have a very disjointed plot (that more often than not makes no sense), nor does it have a real conclusion. It would seem as though this author deliberately likes putting his characters through hell only to have nothing get resolved at the end. I loathe stories that do this that are not part of a collection as it makes me feel as though I wasted my time reading it. Also, (and this was a complaint I had about the other novel I read by this author) it was not mentioned that this story is actually a re-release of a story that came out in 1986 and therefore is NOT formatted for easy kindle reading. In fact, it would appear as though the pages of the original novel were scanned and then put together in ebook format. There was no way to enlarge the small text, and some of the pages were actually off center (the page itself seemingly tilted slightly to the side). Overall, I am certain that this book will appeal to those who enjoy a more "old school" horror novel, or ones that enjoy reading about children (and adults) hacking each other to death. It did have its moments, but it just wasn't for me.